View cart “Silicon electronic heater 12V 10W” has been added to your cart. 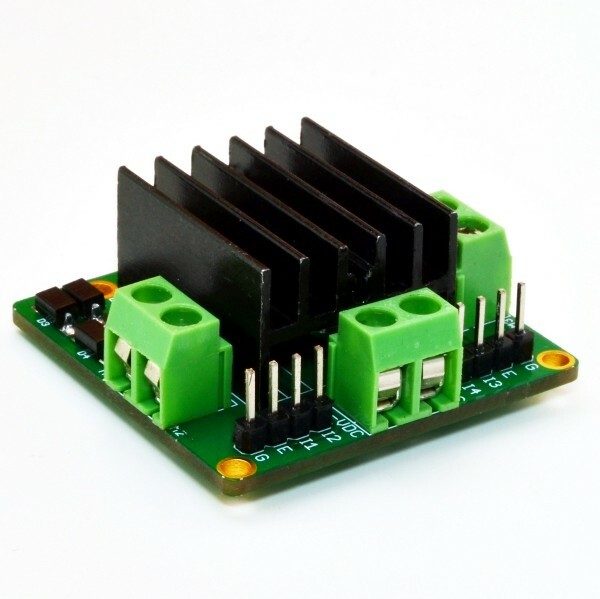 This board is based on the very popular dual H Bridge motor controller L298. L298 can drive up to two DC motors simultaneously while sourcing 2A to each motor. Both the motors can be controlled independently using a microcontroller or Arduino. 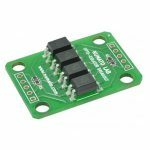 This board is based on the very popular dual H Bridge motor controller L298. L298 can drive up to two DC motors simultaneously while sourcing 2A to each motor. Both the motors can be controlled independently using a microcontroller or Arduino. This board comes with heat sink pre installed for L298. This helps in case the driver needs to be run at full load for long time. Each Bridge is protected from back emf by four diodes. L298 require a +5V supply for its logic circuitry. An onboard LM317 low dropout regulator derives this from the main motor power supply. There are separate screw terminals for each motor and power supply. All logical signals are available on unshrouded 200mil headers.